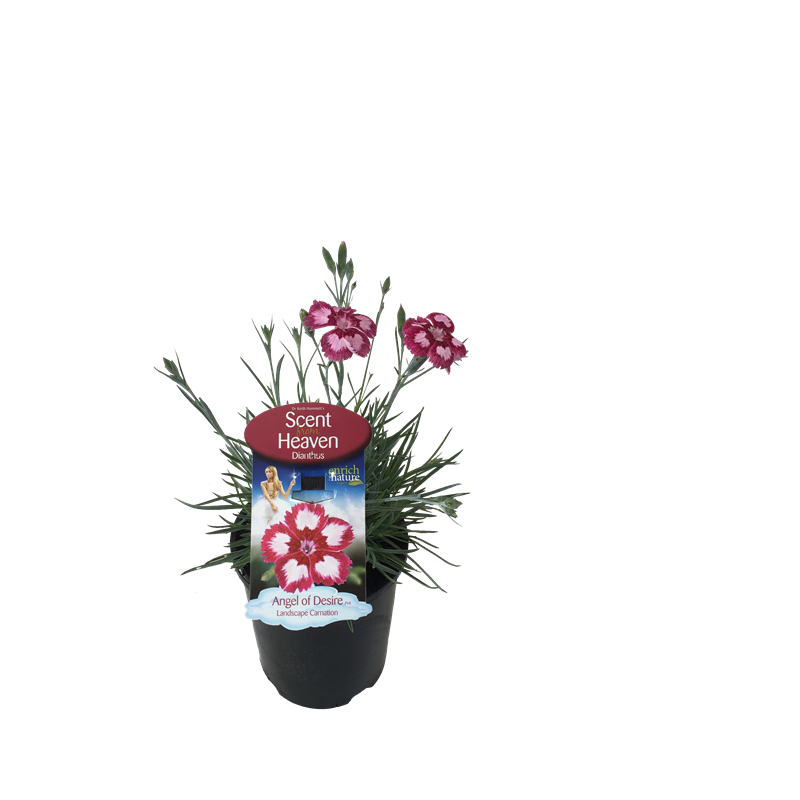 The Scent from Heaven Landscape Carnations are brilliant new selections from Dr Keith Hammett's most recent work, bred for a very compact and tidy habit which makes them much more versatile landscape subjects. Unlike other Dianthus, Angel of Desire will flower almost continually. The tight grey foliage topped with stunning pink flowers are great in the shrub garden, the perennial border or in pots. Highly scented.